Dino Presley and Marlon Guild are the newest members of the Bronc coaching staff. They replace Donyell Marshall, who has taken a similar position at the University at Buffalo, and John Griffin, who went back to his alma mater, Bucknell, to serve as an assistant coach. Presley comes to Rider from the New Jersey Institute of Technology, where he helped NJIT compile a program-record 21 wins and advance to the semifinals of the College Insider.com Tournament. Prior to NJIT, Presley has worked at Marshall, Saint Bonaventure, UMBC, East Carolina, Towson and Drexel. “Dino and I worked together some years back at UMBC and I thought he did a great job,” Baggett said. Presley has made a name for himself as a notable recruiter and player-developer. Presley is a graduate of Kutztown University. 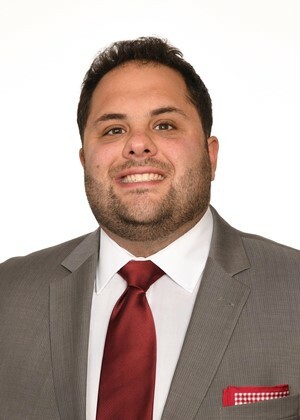 Guild comes to Rider from Saint Peter’s University, where he spent seven seasons as the men’s basketball recruiting coordinator. At Binghamton Luber orchestrated three straight prominent recruiting classes as the programs recruiting coordinator, overseeing the team defense and player development as well. 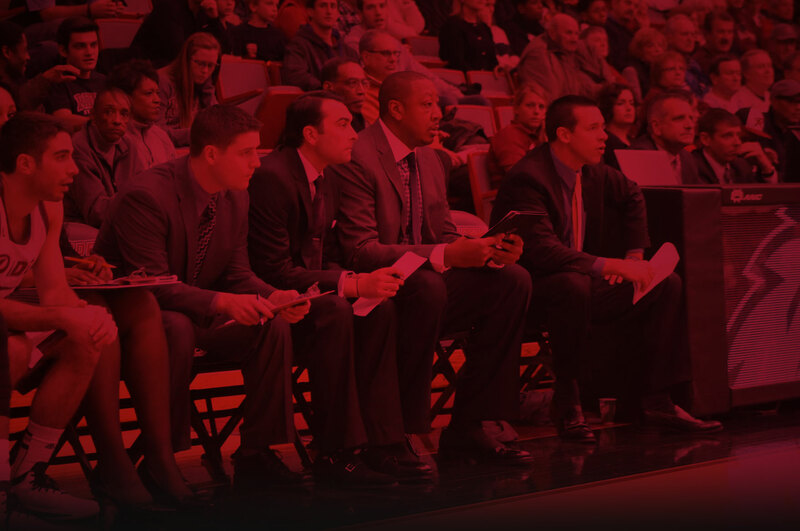 Since his career began at Rider in 2009 as the director of basketball operations, Ben has helped develop players who have since played professionally in Italy, France, Belgium, Lithuania, Australia, Hungary, Japan, Serbia, Macedonia, Argentina, Iceland, Czech Republic, and Greece. Prior to coaching college basketball, Luber owned the Ben Luber Basketball Academy, LLC where he trained some of the top talent in Pennsylvania. One of his most notable protégés, Ryan Arcidiacono, was recently named the Final Four MVP as the starting point guard for National Champion Villanova. In his first stint at Rider Luber was part of a staff that produced a program-record 23 wins in 2010-11. He was in charge of guard play and his unit finished in the nation’s top-10 in three-point field goal percentage. He was a four-year point guard and letter-winner at Penn State, where he was a two-time team captain in the Big Ten Conference. He ranks among the Nittany Lions’ top-10 in career assists and steals. As a freshman, he was an Honorable Mention Freshman All-American selection by Street & Smith magazine. After graduating with a bachelor’s degree in kinesiology in 2007 Luber played professionally in Israel and Iceland. In high school, Luber was a first team all-state honoree and set school records for career wins, points, assists and steals. He led his Council Rock North team to the Pennsylvania Sweet 16 and was twice named the Bucks County Player of the Year. A native of Richboro, Pa., Luber is a member of the Council Rock Hall of Fame. Ben is one of five siblings (Justin, David, Kelsey, Kate) raised by parents Dr. Ronald and Kathy Luber. Luber and his wife Nicki are excited to join the Rider basketball family. Greg Van Pelt joined the Rider men's basketball staff in the summer of 2017 following six years in a variety of coaching roles. Most recently, he filled LIU Brooklyn’s Director of Basketball Operations position for the 2016-17 season. 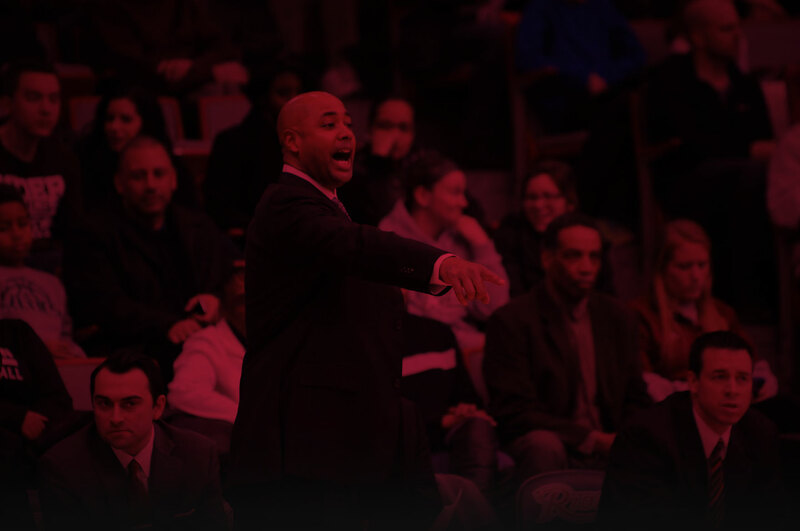 In 2015-16, he was an assistant coach at Montclair State, following the 2014-15 season as Director of Basketball Operations at Saint Peter’s. 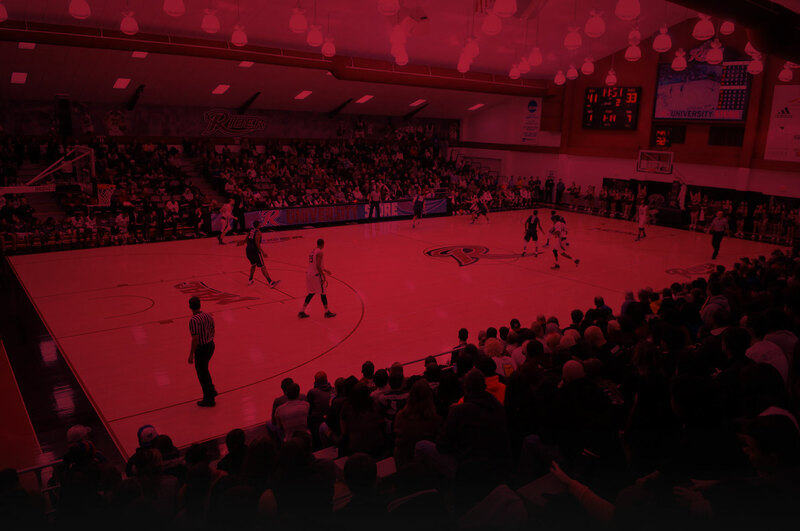 He also spent a year as assistant coach at Susquehanna University in 2013-14, while Van Pelt was a two-year Graduate Assistant Coach at East Stroudsburg University from 2011-13. Van Pelt got his start in coaching as a student assistant coach at his alma mater, Wentworth Institute of Technology, where he graduated with a degree in management with a concentration in technology management. 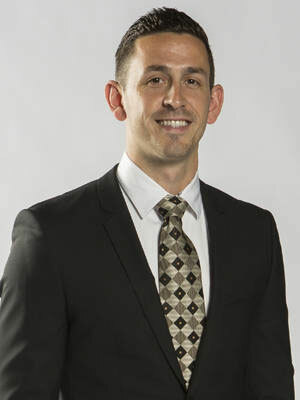 Ben Kay joined the Rider Men's Basketball coaching staff as Director of Player Development in July 2018. Kay spent 2017-18 as Head Coach at Penn State Brandywine, leading the Lions to one of the top seasons in program history. During the 2017-18 campaign, Kay led Brandywine to its first-ever conference championship after reaching the title game for the first time since 1991, as well as an appearance at the USCAA Tournament. Kay was named Sam Cozen Small College Coach of the Year after leading the Lions to more than 20 games for the first time in 12 years. The Lions became the first men's team from Brandywine to win a national tournament game when they knocked off NHTI, reaching the national semifinals. Brandywine led the conference in points scored (86) and turnovers forced (23). Under Kay's tutelage, three players garnered USCAA All-American awards. Kay's first season began with a regular-season game at the Palestra against Penn, Brandywine's first-ever against an NCAA Division I opponent. Overall, the Lions posted a 21-8 record, finishing second in the PSUAC during the regular season before ousting Penn State Wilkes Barre in the conference championship game. 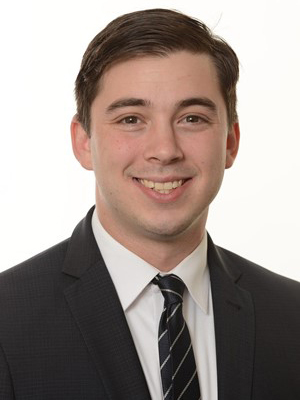 Kay joined the Brandywine athletic staff after two successful seasons as an assistant men’s basketball coach and recruiting coordinator at West Chester University. During his first season at West Chester, Kay helped guide the Golden Rams to a top-25 ranking and the best record in program history as West Chester reached the Pennsylvania State Athletic Conference Tournament championship and received an at-large bid to the NCAA Division II Tournament. Included among his duties at West Chester was scouting opponents, game planning both offensive and defensive strategies, running team and individual film sessions as well as fundraising. Kay was also the lead recruiter for the team, scouting high school and AAU games and working with coaches to recruit some of the most talented student-athletes in the mid-Atlantic region. While at West Chester, Kay began a mentoring program for the men’s basketball team, matching student-athletes with basketball alumni and business professionals. The goal of the mentoring program was to build relationships, while also teaching student-athletes professional skills and lessons necessary for a successful career outside of basketball following graduation. Kay also co-directed West Chester’s summer day camps and skills camps, which were some of the largest of their kind on the east coast, while also co-directing a team camp and high school league during the summer, annually featuring 30 teams from the Greater Philadelphia the area. IIn 2012, Kay co-founded the Treasure Beach Jamaican Youth Basketball Camp and still serves as the camp director, currently. At the camp, which serves underprivileged youth in Jamaica, teaching basketball skills and teamwork, Kay oversees 25 counselors and over 400 campers annually during the week-long event. He also manages the finances for the camp, which has fundraised $50,000. Prior to his time at West Chester, Kay served as the associate head coach and recruiting coordinator for the Immaculata University men’s basketball team. At Immaculata, he led recruiting in the tri-state area, while also aiding in all aspects of player development, game day preparation and opponent scouting. 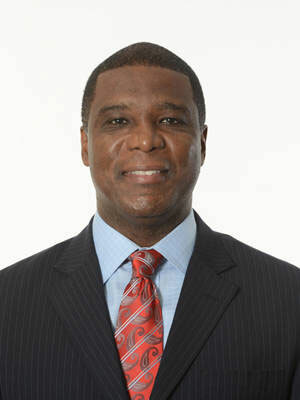 Kay began his coaching career as an undergraduate student at Drexel University where he was a practice player and student assistant coach for the Dragons’ women’s basketball team for four seasons. 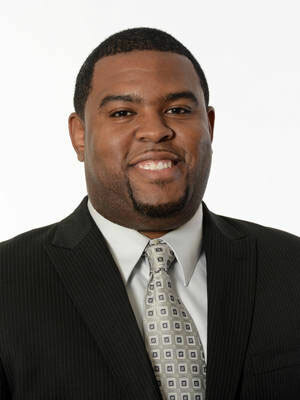 A 2012 graduate of Drexel, Kay earned his bachelor’s degree in business and marketing. He’s also earned his master’s degree in public administration and sports management at West Chester University.